FoodMan - When you made the Most Extraordinary French Lemon Tart using Meyer Lemons, did you reduce the amount of sugar you used since Meyer Lemons are sweeter than regular lemons? Also, do you really need all 21 tbsp of butter? Once you fill the baked tart w/the filling, do you serve it right away or do you chill it again? Thanks! I'm so glad this thread is still here! I made the coconut tea cake, and it's just cooled enough to eat a slice, pure heaven. I was a bit worried when it was baking because it didn't rise very much, but no worries, it's perfect. 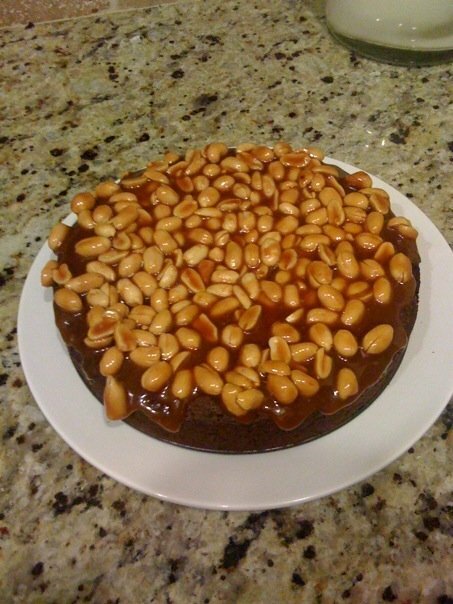 I baked the Peanut Butter Torte last week for a co-worker's birthday. It was very well received! My attempt doesn't look as lovely as it does in the cookbook but it sure tasted delicious. Dorie, thank you for the advice with this recipe. Tonight, I'm baking the Brownie buttons. This is such an easy recipe! I don't know why I've waited so long to make them! Sugar Plum that looks delicious! I've been away from the forum for awhile, & am delighted to find that this thread is active again. Isomer, that apple tart is gorgeous! And I wish I had one of Joe's Cinnamon Square right now. Thank you everybody for re-inspiring me. 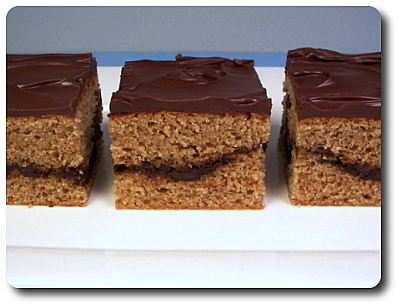 I made these awhile back - they were delicious, but didn't freeze well, to put it mildly. After freezing and thawing the leftovers, they were inedible - gooey, sticky, and just gross. I had to throw them out. I've never had that happen after freezing baked goods - I wonder why it happened with these? This weekend I made the classic brownies and the coconut lemon bundt cake (had to try out my new bundt pan!). 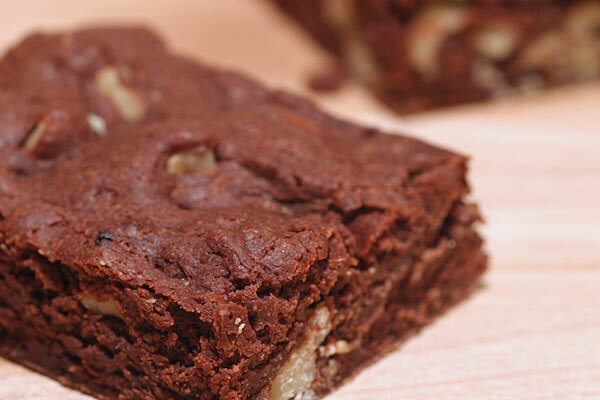 I've made a few of the different brownie recipes, and I've been happy with them all, but this one is quickly becoming my favourite. It has such a dense chocolatey flavour – what's not to love? I used Valrhona unsweetened and Valrhona Araguani for the bittersweet. 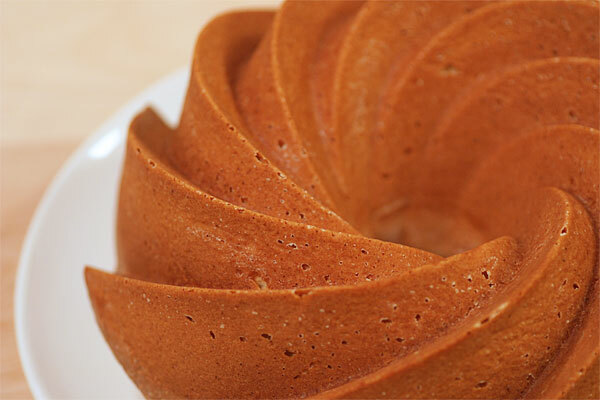 I've made this bundt cake once before as well. I love the combination of coconut and lemon (and this time I added the rum as well). Last time I made it I had a friend over and was distracted and forgot to add the lemon juice. It was still good, but the lemon flavour is more pronounced this time. I do find it a bit sweet, even though I used unsweetened coconut. And it makes a pretty runny batter, so I wasn't able to spread it up the sides of the bundt pan – as a result it ended up with a domed bottom. The coconut milk I had was a bit on the runny side which probably contributed to that. ^What a beautiful cake! I'm envious of your new pan. Thanks! Isn't it a gorgeous pan? I really didn't need another bundt pan, but I'd never seen one like this and I loved it so I just had to get it, right? Emmalish, both the brownies and Bundt look terrific. I've seen a couple of Bundts lately made in that pan and, like lperry, I'm having pan envy. Is it a re-issue of a classic pan? I think so. Merstar, I can't imagine what happened to your cinnamon squares in the freezer -- there's nothing in the recipe that should go mushy. I'm sorry for your problem, but I just don't have an answer for you. 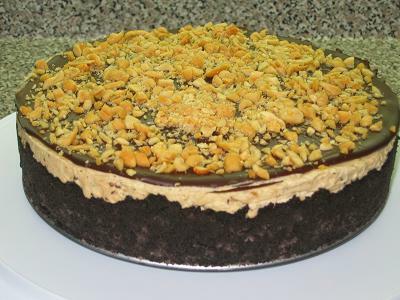 Sugarplum, your P-nut Butter Torte looks fabulous! Perfect, really. Glad everyone liked it. I agree about the beauty of the pan's shape. Thanks for taking the time to post the picture. I can just imagine a nice glaze drizzling down the slopes of the cake! OMG! This is the BEST. I MUST HAVE THE RECIPE. Needless to say, I heartily recommend this one! That IS a beautiful pan! I did a little web searching and found that Amazon has it as well through a third-party seller -- priced very close to W-S. I finally made the World Peace Cookies and I don't know what I was waiting for. I also belong to the 'spread all over the baking sheet' cookie club, but the freezing and slice and bake method was a revelation. they even kept their edges, prettiest cookies I ever made. I'm in Mexico and about to make the French Yogurt Cake. I have everything but the amount of sugar in the recipe. Can anybody look that up for me? Thanks! Hope this isn't too late...it's 1 cup of sugar. Made the French Yogurt cake for the first time yesterday... fantastic. Just the kind of cake people like. Used orange zest in the cake, and glazed w/syrup of reduced orange juice, zest, and sugar, hit of my homemade arancello in there as well. Dorie, if you happen to look in here, could you address the orange cream taking gelatin while the lemon original does not? Could I get a spoonable result with no-gelatin orange? lia, welcome to the World Peace Cookies Club -- I'm so glad you made them and loved them. priscilla, about the use of gelatin when you're making the lemon cream with oranges ... I don't know the exact science, but I couldn't get the orange cream to set properly, and so that's why I added the little bit of gelatin. I think it has to do with the difference in acidity between lemons and oranges and how that acidity reacts with the eggs, but don't quote me on this. It's been so long since I've made the orange cream without gelatin that I'm afraid I can't remember the texture and so don't know if it would be spoonable or not. So sorry for the very late reply. Better late than never I guess. I made the recipe as is, and did not reduce the amount of sugar. Meyers are sweeter but not by much. I did use all 21 tbsps, but I bet you can get by using only 2 sticks (16 Tbsps). I did chill the tart. It actually keeps very well in the fridge without getting soggy. I'll have to give orange cream a spin both ways. Thanks, made them twice since. The first night I baked them (only one log), my hubby finished them off in a sitting, and he's not a big chocolate fan. Whipped up a batch of Corniest Corn Muffins for breakfast today, fast and delicious; corn muffins and breads are something for which I never could find a decent recipe. Hubby LOVED those. I topped this the night before serving and should have popped the whole thing in the microwave for a minute or so to loosen the topping before serving. It was a bit difficult to eat with plastic utensils at room temperature. It was still delicious though. I did have caramel left over and added a touch of vanilla to it and had it over some ice cream. yum. Sorry I never got back to you. Thanks! I made it that day and it was wonderful. I like it even better when I use some orange essence in the batter but I didn't have that. This is definitely my "go to" cake now. Dorie, if you're here, I've just started working with this fabulous book, just made the perfect party cake (wonderful! ), although not the frosting as yet. But a question, does the frosting for this cake pipe well?